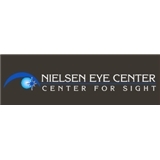 The Nielsen Eye Center (Quincy) - Book Appointment Online! If you are interested in a complimentary Lasik consult, please call our office at (617)471-5665. One of our patient advocates will be happy to help. The Nielsen Eye Center is proud to offer its patients the most experienced doctors, the latest technology and concierge level service from our highly skilled staff. Established in 1991, our practice offers comprehensive eye care and the latest technological advancements in diagnosing and treating conditions of the eye. Dr. Steven A. Nielsen, M.D., and Helen R. Moreira, M.D. are experts in laser vision correction, cataract and lens implant surgery, treatment for glaucoma, macular degeneration, the diabetic eye and corneal transplants. Please contact Nielsen Eye Center in the Boston, Massachusetts area for more information. He was a Great Doctor really listened to my concerns and explained things about my Eye condition. I have a follow up appointment and I would recommend Dr. Nielsen. Very organized and efficient office. Staff is nice.